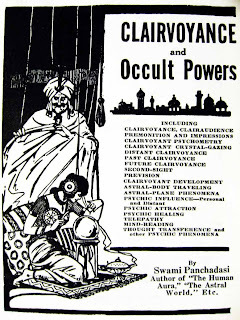 'Clairvoyants', a term adapted from the French meaning clear-seers or clear vision claim that they are capable of many things. Some researchers have investigated the phenomenon of 'clairvoyance' using sensory deprivation to ascertain whether this 'extrasensory perception, this clairvoyance can be triggered but no definitive proof of its existence has ever been shown. Some claim that they can see into your future, others into your past. Some can know what you are thinking and still others can 'intuitively know what organ system in your body is not functioning correctly. 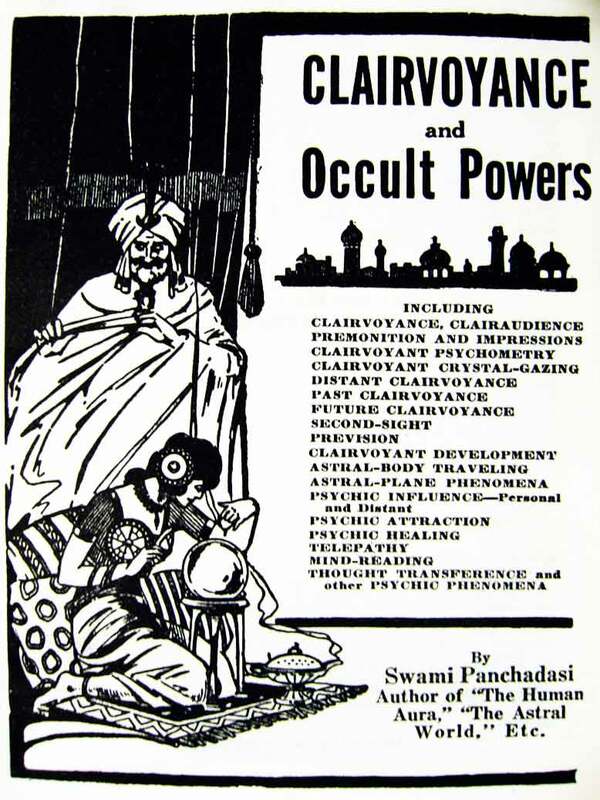 But one of the most popular 'gigs' for a clairvoyant is to talk or communicate with the dead. Advice not to listen to these people stretches at least as far back as the time of the Old Testament when Hebrew and later Christian writers warned against the deception of fraudulent seers. Paradoxically, looking into the future with visions and prophesy was acceptable, truthful and reliable (provided the predictions were in line with the writer of those scriptures). Throughout the Old Testament, people who consulted clairvoyants died (Saul in 1 Chronicles 10:13-14), were 'defiled' (Leviticus 19:321) or were stoned to death (Leviticus 20:17). In the New Testament, people were discouraged to seek out advice from the dead ('Why consult the dead on behalf of the living? Isaiah 8:19) and 'psychic' experiences were considered communication with 'deceiving spirits', devils and demons (see post: Devils and Demons). 'Even Satan can disguise himself as an angel of light. (2 Corinthians 11:14-15); 'You cannot drink from the cup of the Lord and from the cup of demons too (1 Corinthians 10: 20-21). 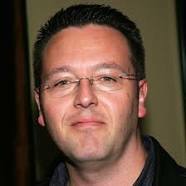 In 2001, a well known clairvoyant and former ballroom dancing instructor named John Edward claimed that he was able to 'connect with energies of people who have 'crossed over' was put under the microscope and found that his (quite entertaining TV show) was propped up with leading questions, pre-show information gathered from the audience by Edward's aids and likely strategically placed (and hidden) microphones that provided more information to the 'clairvoyant'. All this, coupled with the fact that the show, never aired live, had all the adverse and 'disagreeable' (in the sense that Edwards was 'dead' wrong with most of his guesses) features edited out suggested that the performance was one of deception rather than truth. All the same, there are thousands of web sites, videos (see the video at the end of this post) and instructional booklets on how to talk to the dead some with warnings such as: If you are prone to seizures or have epilepsy, I implore you to NOT watch this video! It consists of flashing lights and a trance inducing voice over. Today, there are board games to talk with the dead and you can even 'talk with the dead' on line! (www.talktothedeadonline.com). Others recommend techniques similar to 'scrying' (see post: Scrying), apparently used by the famous Nostradamus, 16th century apothecary and seer. 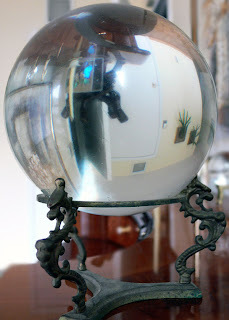 This involves gazing into a large mirror, reflecting pool of water or crystal ball to se into the future or gaze into the past. A common feature of all these techniques (a video with flashing lights, relaxing, meditative state in a quiet room, gazing into a reflection) is a hypnotic effect, perhaps and effect that could even be illusory or provocative of hallucinations. 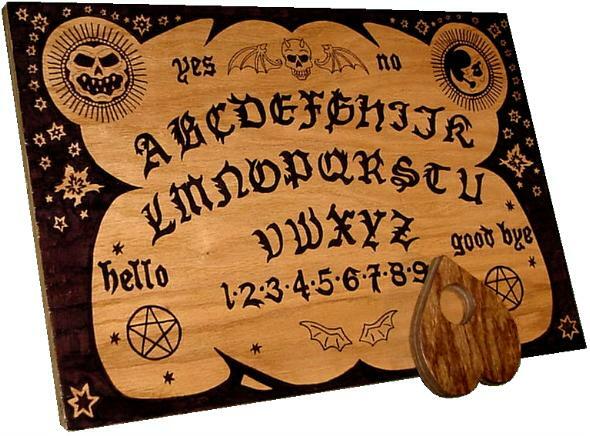 Another method that has been advocated to communicate with the spirits of lost loved ones is the ouija board (also called the spirit/fire keyboard or talking board). This device was first produced commercially by Elijah Bond in 1890 and was considered a harmless parlor game until a 'spiritualist' Pearl Curran ran popularised it as a'divining' tool in the early 20th century. On the flat board are the 26 letters of the Latin (western) alphabet (so I suppose that the divination use is limited to the western world). Imprinted on the surface as well are the terms 'yes' , 'no' , 'hello' and 'good-bye' and the numbers 1 through 9, making a total of 13 characters aside from the alphabet (13! There is that number again! - see post: Fun With Numbers). So. What if there really was away to communicate 'at distance'. With aliens, for instance. Or with someone in another world? Or perhaps with the dead? How would it be done? What code, what words what symbols would be used? Click on the link below for a 'tutorial' on communicating with those in the 'great beyond'.